There was a time when the entire world was focused on reaching into space and exploring the vast unknown universe. At the height of the Atomic Age, a group of scientists proposed a revolutionary solution for going further than mankind had ever dreamed: a spaceship propelled by nuclear blasts. 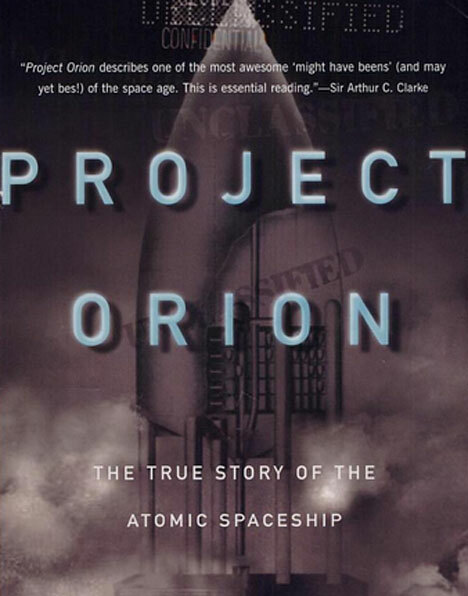 It was called Project Orion, and it gained a surprising level of official approval before someone finally thought to question what kind of effect the fallout from such a project might cause on Earth. First proposed in 1947, research started on the project in 1958 and continued until the Partial Test Ban Treaty of 1963 more or less put an end to the idea. Propelling a spacecraft with repeated nuclear explosions might sound like a horrifying idea today, but in the 1950s it made total sense. 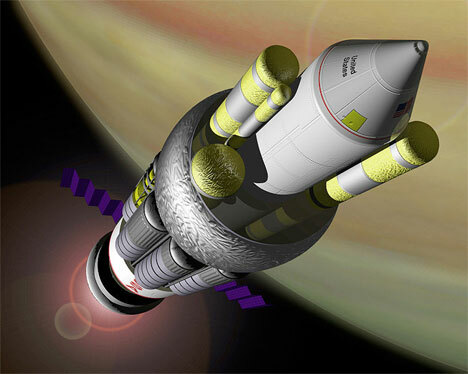 In various versions of the concept, nuclear power would either be used to launch the spacecraft or would be held in reserve until the vehicle escaped the Earth’s atmosphere. 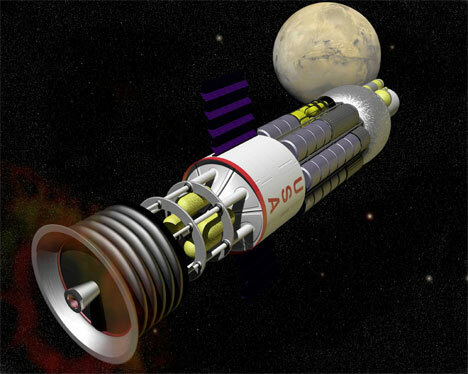 Project Orion would have offered cheap interplanetary travel, providing unparalleled power and performance. The goals of the project were to take a spacecraft to Mars by 1965 and Saturn by 1970. The above video is a fictional rendering of what the Orion spacecraft might have looked like. The design involved throwing nuclear explosives behind a “pusher plate,” which would be moved by the explosion and give the entire spacecraft a kick of propulsion. The project was abandoned in the early 1960s and has not been revived, though there is a more recent (unrelated) NASA project using the name Orion. Given the possibilities of nuclear propulsion for spacecraft, it’s possible and even probable that the project could be brought back to life if a pure fusion explosive – one that won’t cause harm to the planet or the life on it – is ever developed. See more in History of Tech or under Vintage & Retro. June, 2010.